I’VE been lugging my crampons around the hills since early November but so far they have remained redundant. Now, after months of being nothing but a dead weight at the bottom of my winterised bag, it looks as though these little pointy chaps will be seeing some real action. A decent freeze is coming at last. Winter has consisted of little more than false promise, temperatures bouncing back and forwards, conditions never settling down to be one thing or the other. 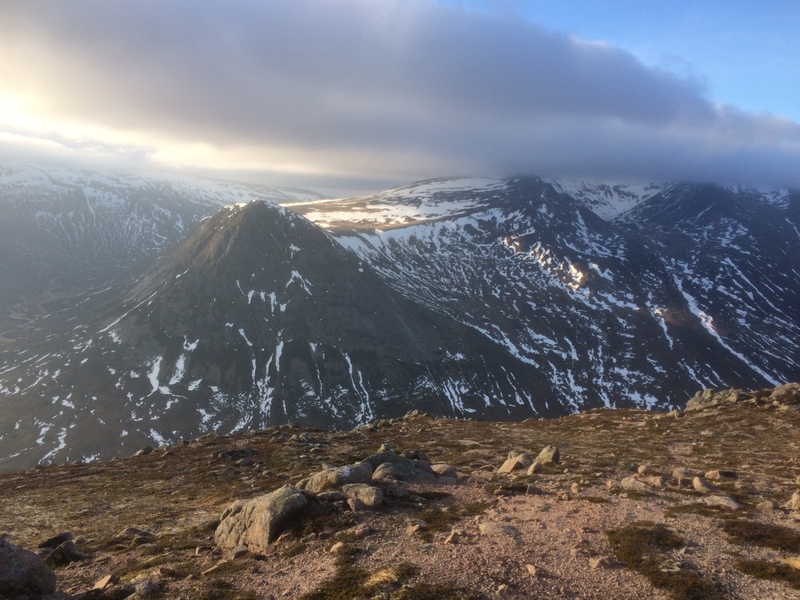 November started with a blast of snow and ice which added spice to a traverse of the Easains, but it was never quite solid enough to require the ironmongery, and a few days later I was sloshing my way up Geal Charn in the slush. A decent dump of snow a week later left the high ground under a thick, white blanket, and it meant a knee-deep wade up the Creag Meagaidh hills but it was never accompanied by the required bitter cold and had largely melted away on our descent. December arrived with a freeze but it was dry and sunny on the western mountains, and although there were patches of ice on the paths through the glens, the slopes and ridges tended to be trouble-free. The rest of the month seemed to regress to an autumnal mood. One short-lived snowy blast provided a good day on Schiehallion just before the year turned and then January arrived with little to offer in the way of change. It seemed strange to be high in the Cairngorms at this time of year in such benign conditions but we have been here before. 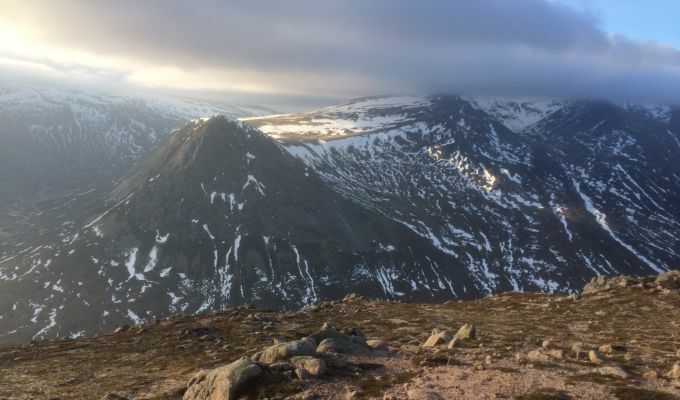 The last two years have seen winter conditions on the hills in late April and early May so there’s no need to pack away the winter equipment just yet. The milder and wetter air from the west has been blocked by a massive front from the east, opening the door to some decent snowfalls. The mercury is set to remain low over the next week or so, and it’s likely all those frustrated winter mountain prospectors will spark a weekend cold rush. It’s worth making sure then that you are prepared for the dramatic change in conditions. 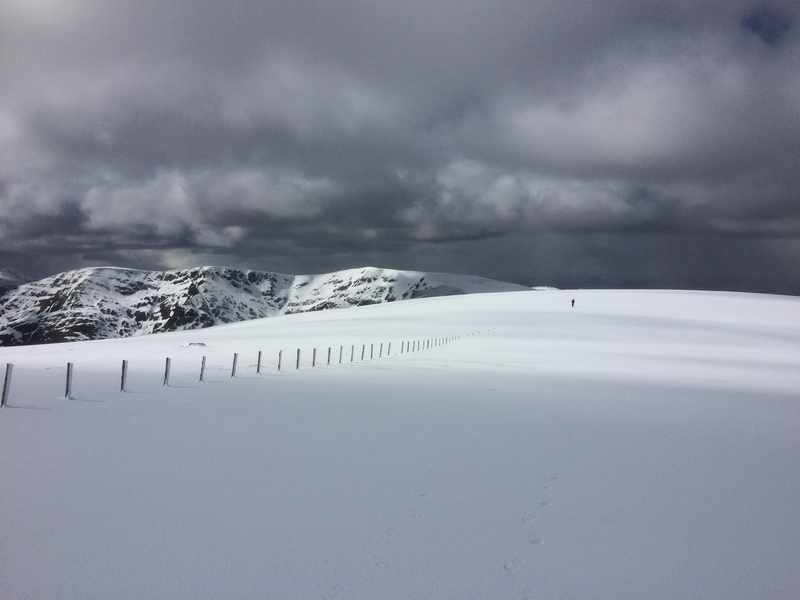 The Scottish Avalanche Information Service (SAIS) have reported a high risk in all areas, and there have already been a couple of incidents requiring call-outs. Thankfully, no one was seriously injured but the warnings are there. So before you set out, check the weather forecast and conditions and the SAIS site, and plan your route accordingly, taking into account potential hazards such as river crossings. Remember also that daylight hours are shorter and that walking in deep snow can slow you considerably, so don’t be over-ambitious with your plans. Have your phone fully charged before you set off. It’s handy also to carry a fully-charged power pack for back-up. Test head torches are fully operational and carry spare batteries. Make sure you remember how to fit your crampons, preferably while wearing gloves, and don’t wait too long to put them on – it can be the difference between life and death. Make sure you leave details of your planned route and any possible alterations. Include your start and finish points, estimated time of return, the number in your party and contact numbers. Don’t forget the porridge: Eat well before you start out, snack throughout the day to keep energy levels up and always carry an emergency stash of food. It may seem like preaching to the converted but there’s no harm in stating and re-stating the obvious. One little oversight is all it takes to bring down a whole load of trouble.